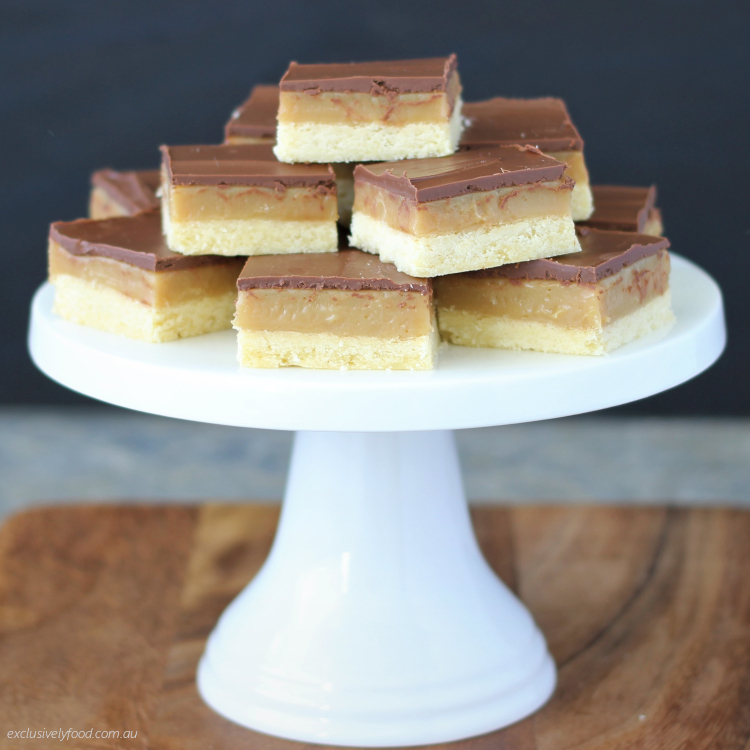 Buttery shortbread, soft caramel and rich chocolate layered together makes this slice hard to resist. 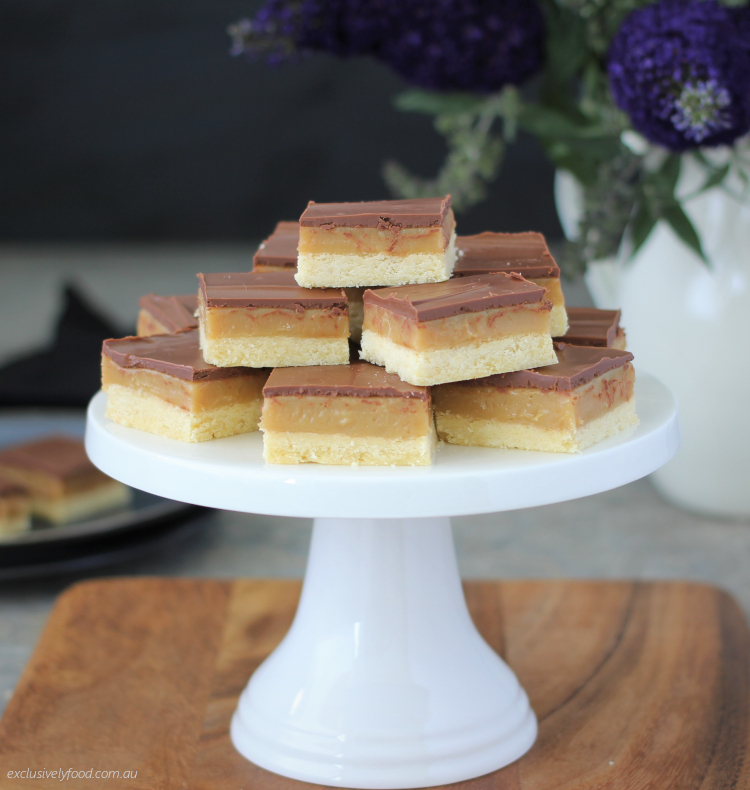 We have used dark brown sugar in the recipe as we find it adds a deeper flavour to the caramel layer. It is available from supermarkets and worth sourcing if you can. A combination of milk and dark chocolate (100g milk and 75g dark) has been used in the slice pictured. For accuracy, use digital scales to weigh ingredients. Volume measurements are given in Australian Standard cups (250ml) and spoons (20ml tablespoon, 5ml teaspoon). 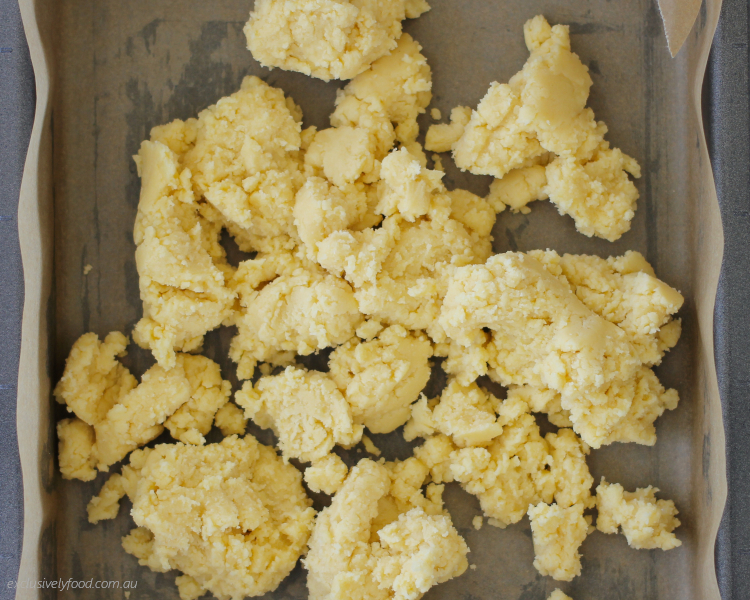 Salted butter is used in our recipes unless otherwise stated. Preheat your oven to 160 degrees Celsius (150 degrees Celsius fan-forced). You’ll need the oven rack in the middle shelf position. Grease a 20cm x 25cm slice pan. 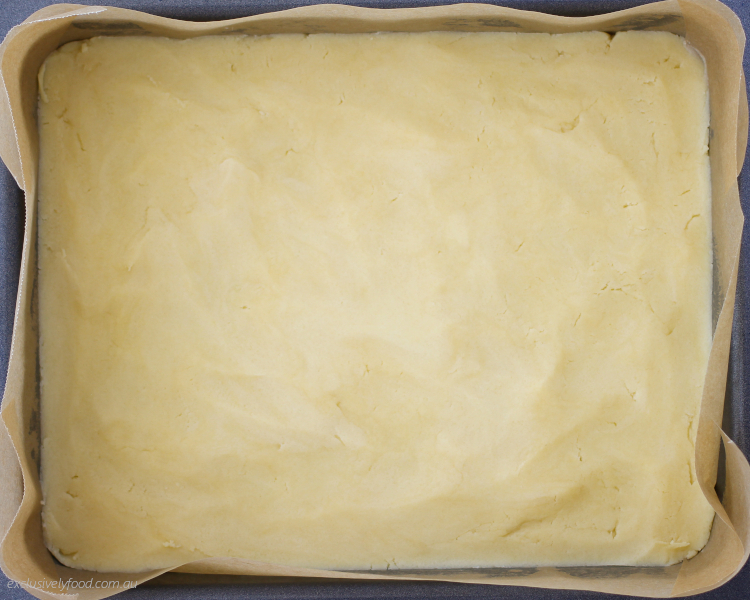 Line pan with baking paper, making sure it reaches slightly above the top of the pan on all sides. 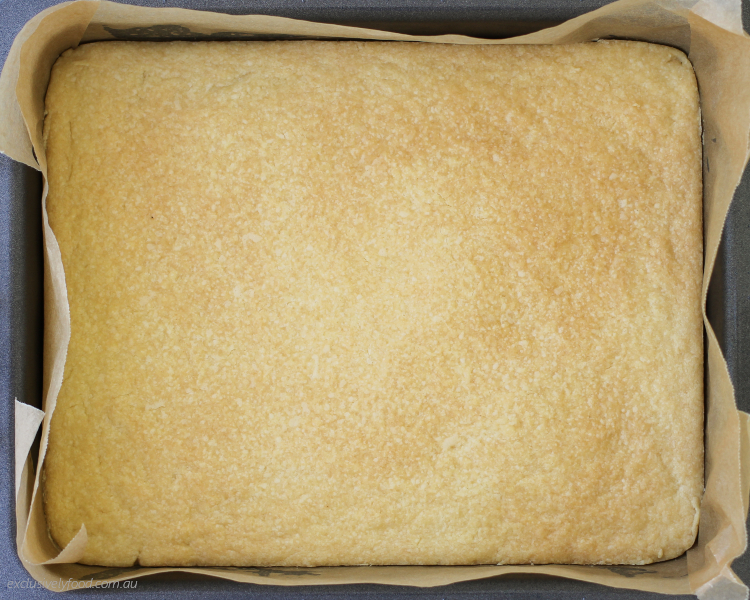 The excess paper can be used as handles to lift the slice out of the pan. 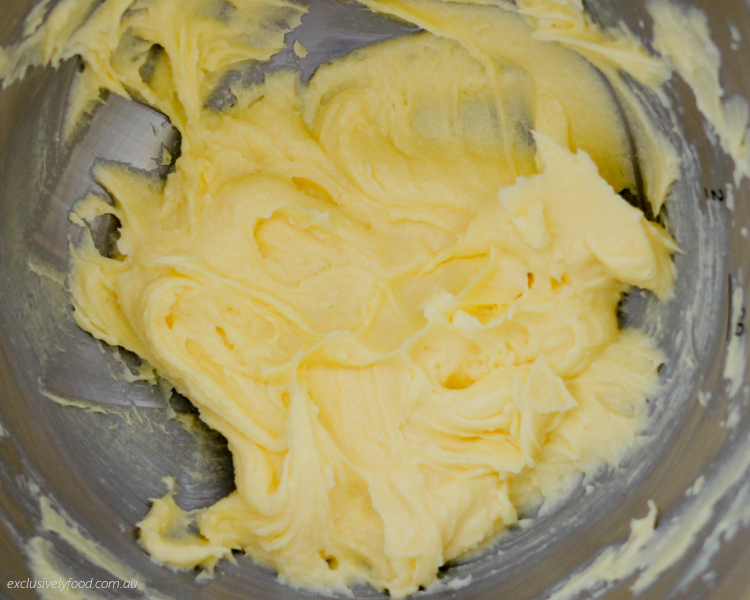 With an electric mixer or electric beaters, beat the butter and sugar together on medium speed until the mixture is pale and creamy (about 3 to 5 minutes). Stop the machine a few times during beating to scrape down the side and base of the bowl with a spatula. Add the flour and mix on very low speed until combined. If your beaters don’t have a low speed option, mix the flour in by hand. Tip the dough into the prepared pan. Use your hands or the back of a spoon to press the dough evenly over the base. Bake for 25 to 30 minutes, until light golden brown and just firm when pressed in the centre. 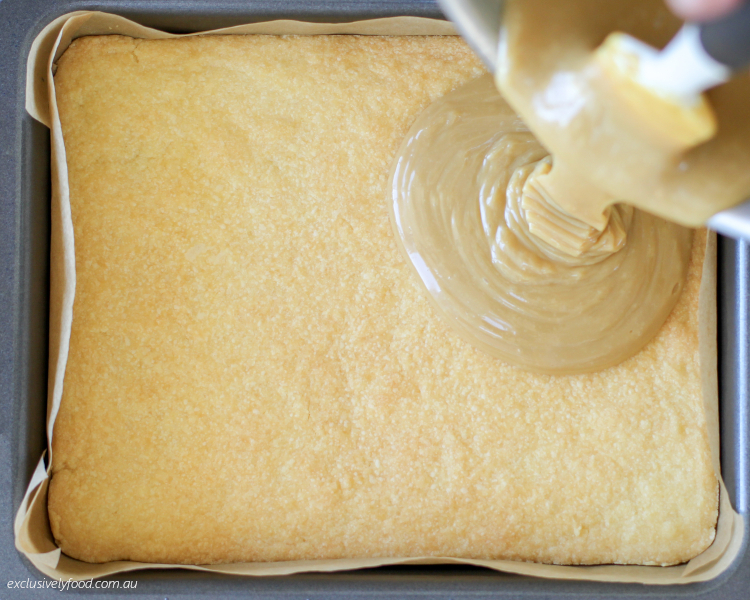 Remove shortbread from the oven and allow to cool while you make the caramel. Place butter, brown sugar and golden syrup in a medium, heavy-based saucepan over medium heat. Stir together until the butter has melted. Add the condensed milk and whisk constantly – the caramel can easily stick to the bottom of the saucepan and burn, so it is important to whisk as it cooks. Cook for about 12 minutes, until caramel thickens. 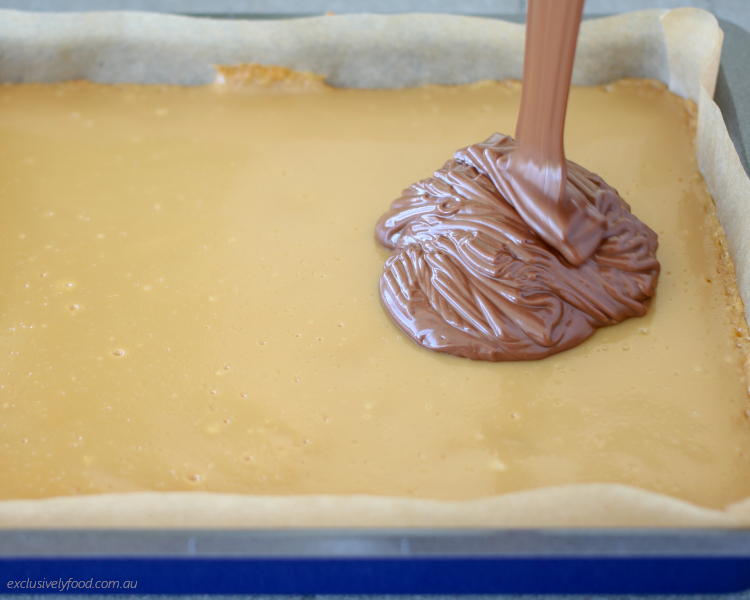 Pour the caramel over the cooled base. Spread evenly. 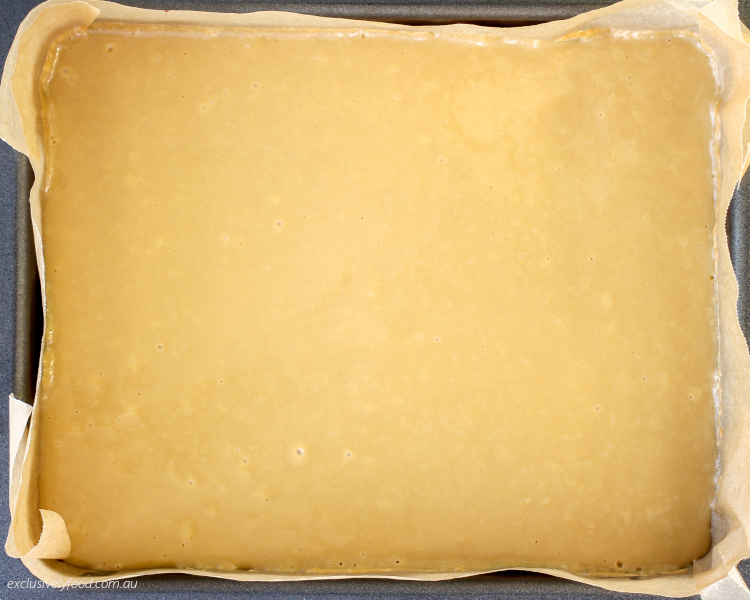 Return to the oven and bake for about 10 to 12 minutes at 160 degrees Celsius (150 degrees Celsius fan-forced) until the caramel is lightly browned around the edges. Place the chocolate and butter in a small saucepan over very low heat. Stir together until melted. Alternatively, the chocolate and butter can be melted in a microwave-safe bowl in the microwave. 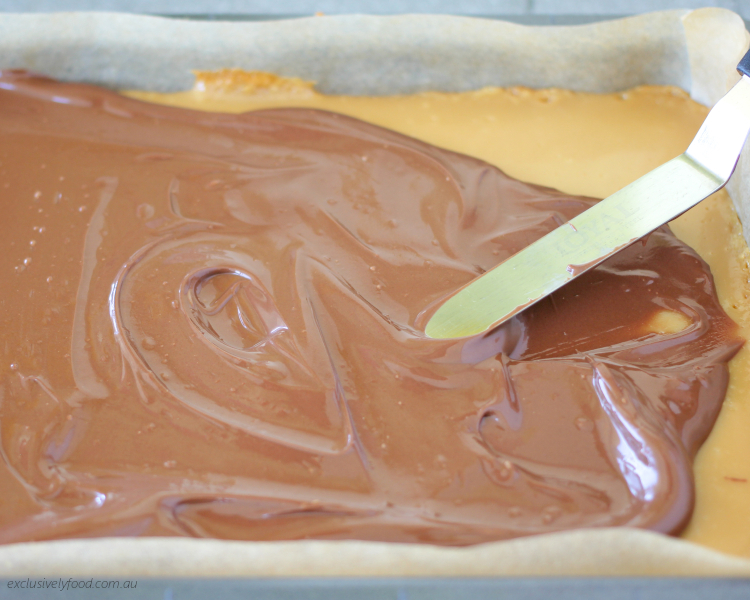 Pour chocolate over the caramel. Spread evenly with an offset spatula or the back of a spoon. Refrigerate for about 2 hours before cutting into pieces. To slice neatly, remove from the refrigerator about 5 minutes before cutting to allow the chocolate to soften slightly. Use a long sturdy knife to cut the slice into small pieces. Wipe the knife on a paper towel after each cut.